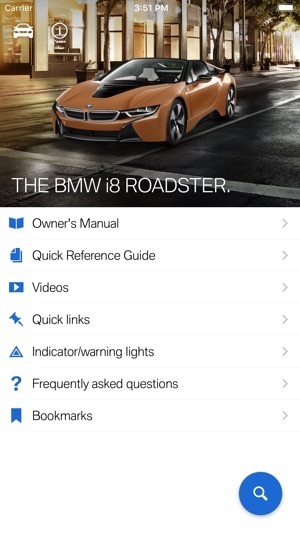 The Driver’s Guide is a vehicle-specific Owner's Manual for BMW i models. When using this system for the first time, you require an Internet connection. After you enter the vehicle identification number (VIN), the Owner's Manual for your vehicle is downloaded and is subsequently available without an Internet connection. 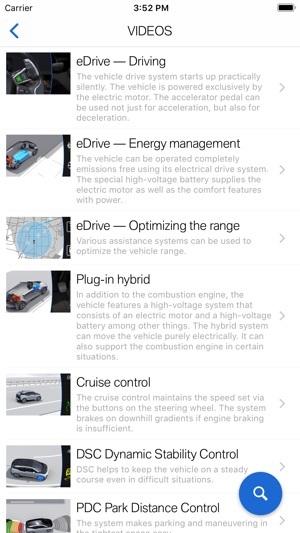 Multiple vehicles can be managed within the Driver’s Guide. You can acquaint yourself with the features of your vehicle by reading the full Owner's Manual, searching by picture, or viewing the explanatory videos. The more familiar you are with your vehicle, the better control you will have on the road. - The full Owner's Manual. - A search by topic. - A search by picture to find features. - Smart Scan. To obtain specific information on individual controls with the aid of a smartphone camera. - Solutions to particular situations based on Quicklinks. - Explanations of the warning and indicator lamps. 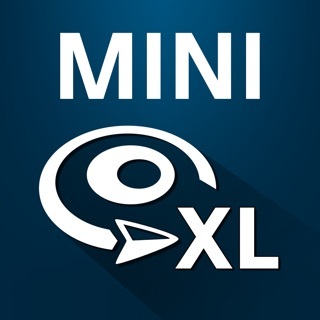 - Answers to frequently asked questions (FAQ). More information can be found in the additional brochures of the onboard literature. 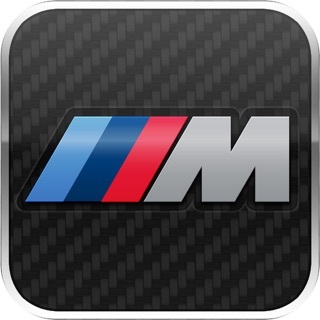 BMW wishes you a safe and enjoyable drive. 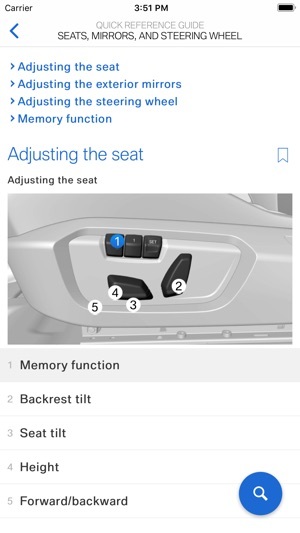 - By logging in via your BMW ConnectedDrive account, stored vehicles can be synchronized between different mobile devices. Having an e-manual is a useful thing, and the search functionality is helpful. 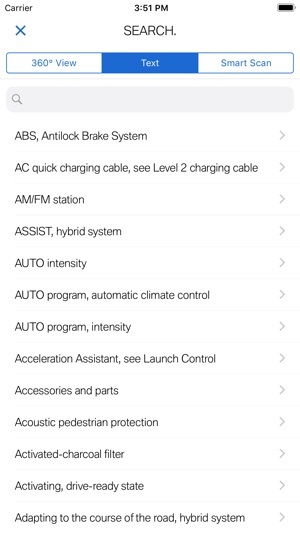 It also provides the manual specific to your car with entry of the VIN. Unfortunately the content of the manual, just as with the printed version, is remarkably UNhelpful, with very little real information on the many features and functions of this complex vehicle. Audi, Subaru, Mazda, Honda, and---heaven forbid---even GM gets this stuff right. 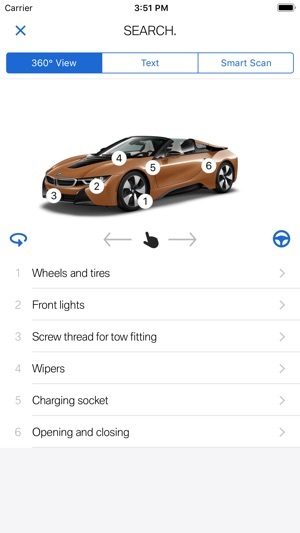 With BMW you end up having to ask the dealer in follow-up visits, and even their representatives don't know how to use the car's gadgets and things. No wonder BMW drivers can't drive: they can't figure out their cars! ©2017 BMW of North America, LLC.